Braun kindly sent us the ProSkin as part of their #SensitiveDads campain, which you can read all about here. Although we received this as a gift, Matt genuinely recommends it highly. He has always had trouble with shavers – he has sensitive skin and cannot wet shave too often, but finds dry shavers to generally be less efficient. He often had to choose between red patches and irritation or a shave that is not close enough. This was different. Not only can it be used wet or dry, it also seems to get a really close shave used wet or dry, with no irritation. 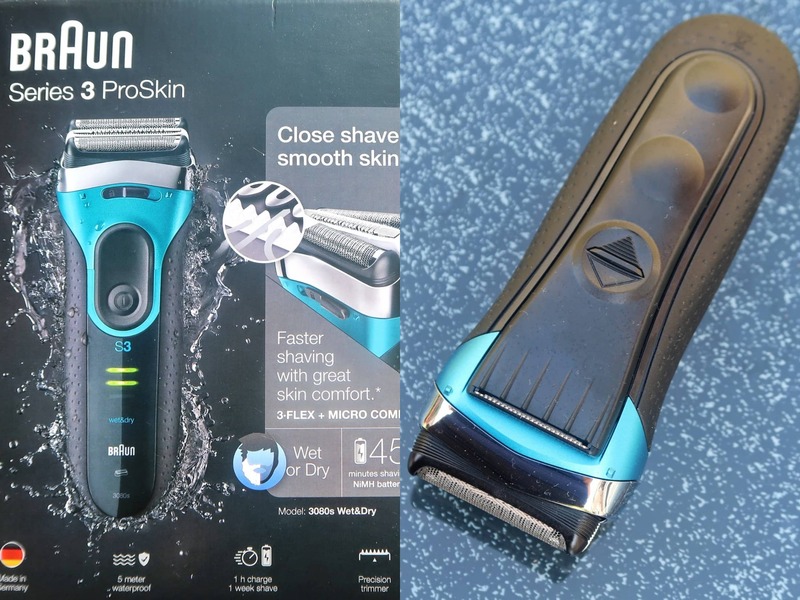 The S3 ProSkin has advanced MicroComb technology which guides beard hairs into the cutting element of the trimmer reducing overall shaving time and thus skin irritation. To offer a comfortable shave three independently floating cutting elements and two SensoFoils adapts to every facial contour to offer a comfortable shave. It also has a really useful carry case, which Matt loved. It retails for £139.99 but you can actually find it for less on Amazon right now. A great Father’s day gift. Matt goes through sunglasses like hot dinners, but they are essential for driving etc. and so we tend to buy a few pairs a year. Superdry sunglasses are really stylish but fairly reasonably priced, so it does not break the bank to replace when one of the children breaks them or he leaves them at a National Trust Site. This pair (SDS SAN 104) is £42.50 but you can find various styles for even less. 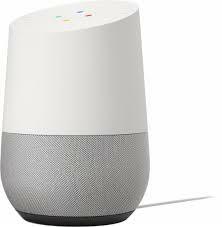 We were gifted a Google Home to try out earlier this year and we are in love with it. Not only can it control all sorts of things, from your central heating to what plays on your TV, it can answer most questions without you having to reach for your phone, plan your route to work, tell you the weather, a fact, a joke – almost anything – and all without pesky screens interfering with your day. Add Netflix and Google Music accounts into the mix and you have something that can revolutionise the way your family interacts with technology. They are on the pricey side, at £129, but honestly, I think that is cheap considering all the things it can do. Any technology savvy dad would be chuffed to receive one as a Father’s Day gift. It can be fairly exasperating when you text your other half to remind them to bring home milk, only to discover that their phone died several hours ago when they come home, milk-less. Portable chargers make this nuisance a thing of the past. Mine is essential these days, as I need my phone so much for work. The Anker power bank shown above is just £28.99 and it will charge your phone several times over before needing to be charged again itself. Who doesn’t dream of one day owning a Lego Death Star? 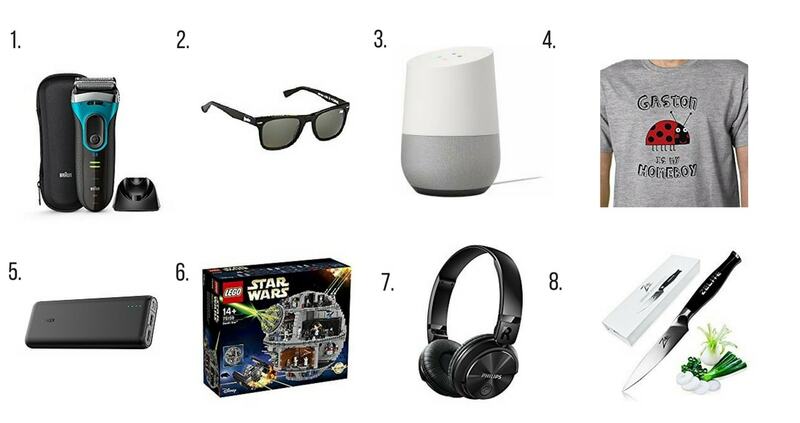 At £429.90, I am afraid Matt will not be getting this any time soon. But it is seriously cool. Seriously. Once you have had wireless headphones, it is hard to go back to any other kind. Matt uses ours for exercise. However, they are great for housework and for watching things on phones or tablets when the children want something else on the TV. These Philips SHB3080BK Wireless Bluetooth headphones are just £39.99. Matt is a very keen chef, as you may have seen on the Daddy Cooks Food Instagram account. He devises most of the recipes that I share on Someone’s Mum. High quality knives make him happy when he cooks. This one is currently on offer for less than half price, at £29.97, and it claims to be the Rolls Royce of knives. This is a strong contender for the gift I may buy this year (Shhhh!). It has a 15 year warranty and 100% money back guarantee. 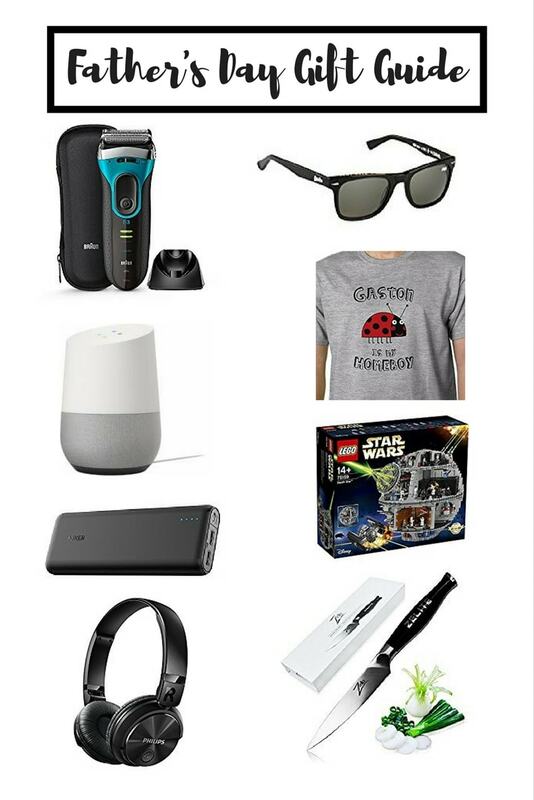 And there you have our Father’s Day Gift suggestions for this year. Which would you choose? Please note, I’m working in a paid relationship with Braun and BritMums on their #SensitiveDads campaign. However, all the products are ones we genuinely use and love, or aspire to own. Some of the links included are affiliate links.